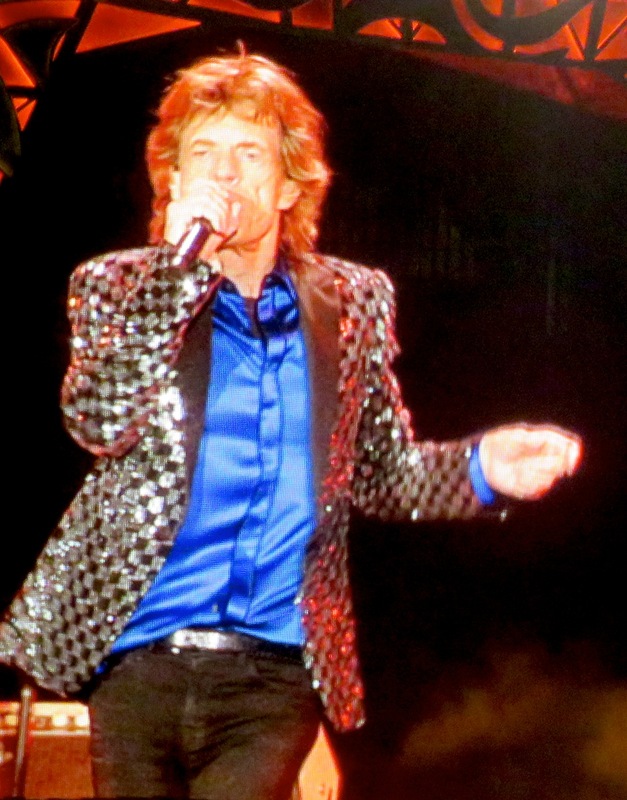 Mick Jagger shaking it like no 70-year-old I’ve ever seen. 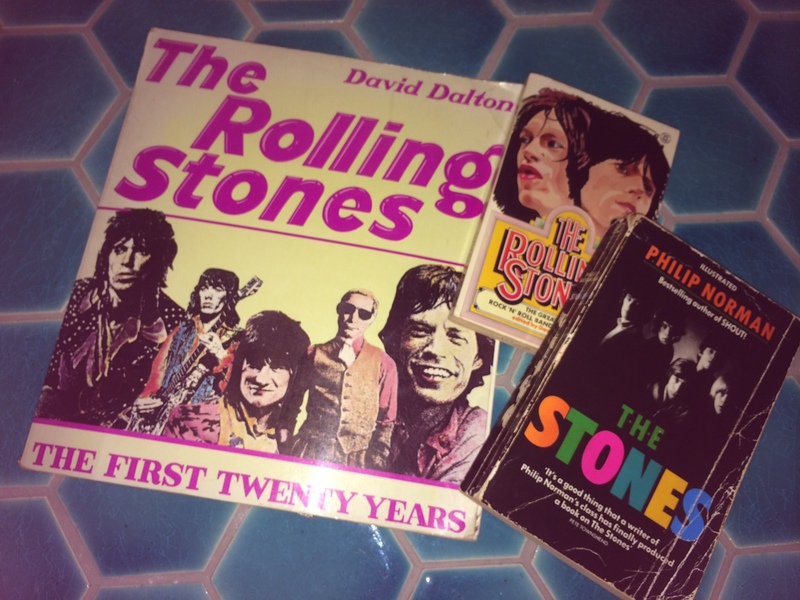 I became a Stones addict later than most. 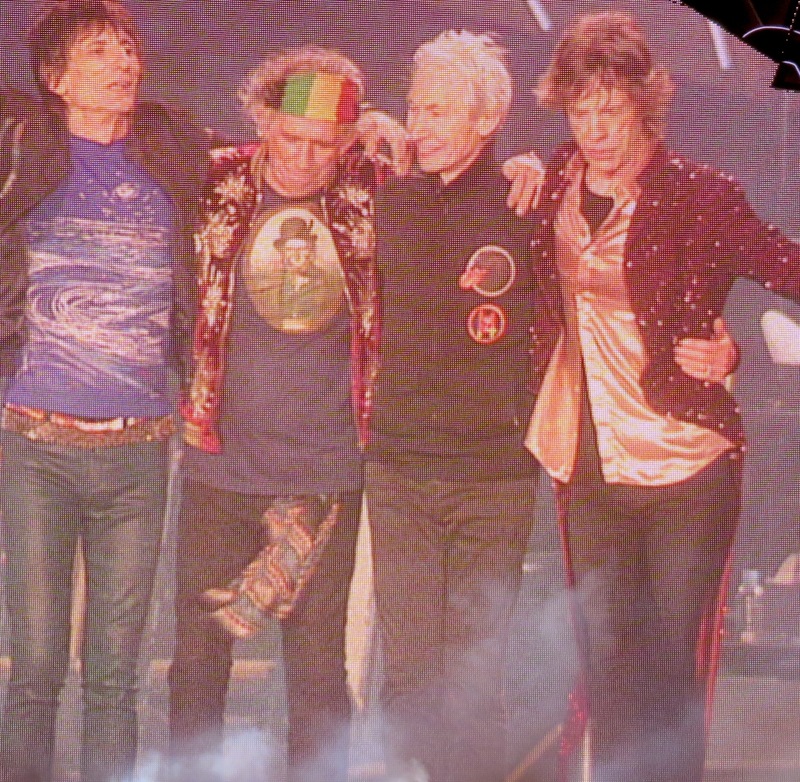 At 27, I was seduced by the fabulous, mythical stories about the band. I read everything I could lay my hands on. I devoured stories about Marianne Faithful letting one shoulder of her fur coat slip to reveal her nakedness to police officers at a drug bust at Keith Richards’ place in 1967; drummer Brian Jones’ bloated body lying face down in his swimming pool; the paparazzi’s black and white images of Mick and Bianca Jagger’s St. Tropez wedding; the band’s time as British tax exiles at famed villa Nellcôte in the south of France (they recorded Exile on Mainstreet there, between parties); and of course Keith Richards’ supposed full-body transfusions to make good his drug-saturated blood. Oh the stories, the characters and the clothes are endless and fascinating. 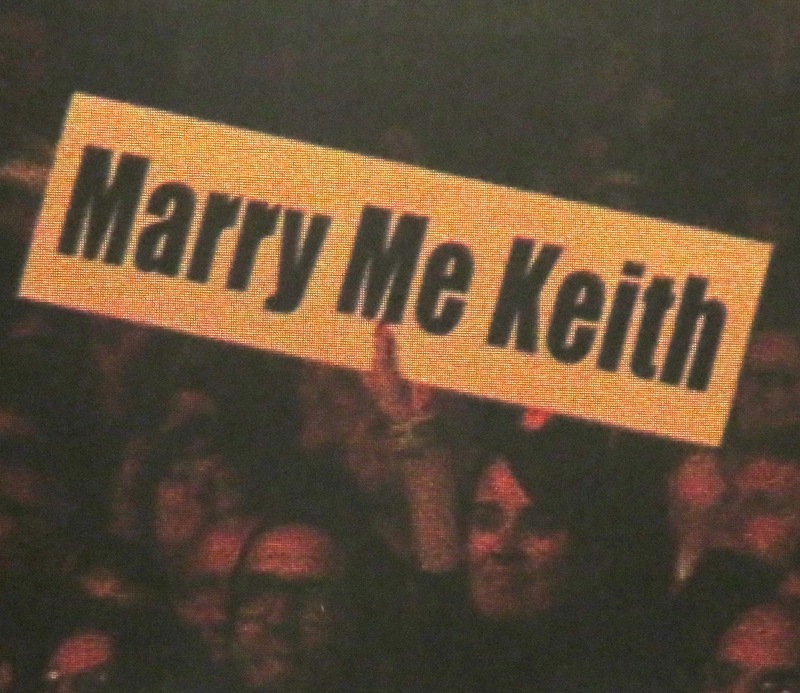 Of course, I’ve grown to love their music too – particularly their early songs like Get Off My Cloud and As Tears Go By. To me their music feels like a soundtrack to the great stories. Saturday’s concert sits in my cache of personal stories in relation to the band, joining my heart to theirs with the finest of tendrils. Tonight’s stories will be about seeing the rockers at their very best; watching the wind drive the rain across the stadium (“We’re all in this together” – Jagger); partying with Ryan (a rather inspiring 23-year-old BMXer/style-insider/social media guru with fabulous socks from Auckland via Motueka) and his partner; and talking pre-school shenanigans with the lovely Megan from Auckland Stadiums. 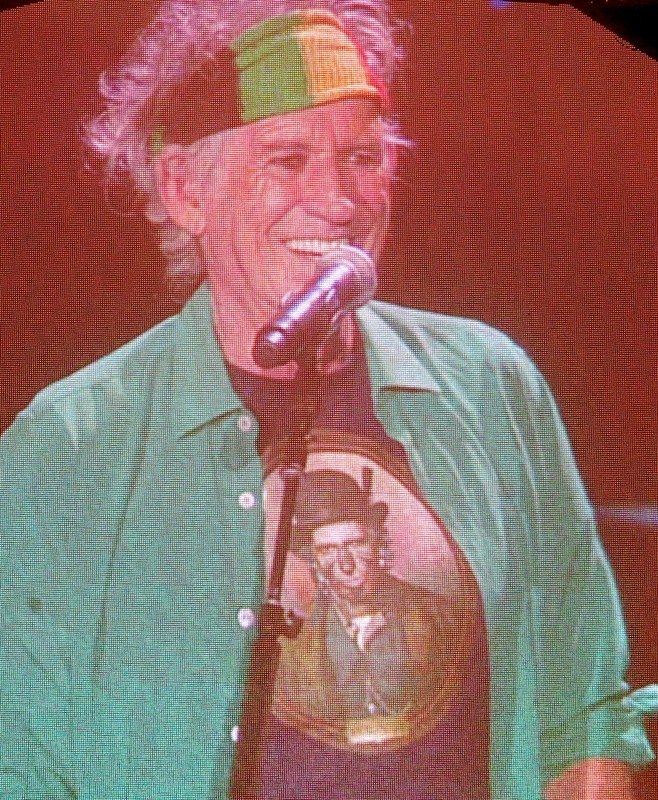 But most of all I will remember being inspired by witnessing the Stones doing what they love for fifty – fifty! – years and doing it with such energy, ferocious commitment and joie de vivre. I’d need to be writing at 96 to be able to boast the 50 years statistic. Bring it on. Maybe he’s smiling because he saw the sign? Mick Jagger’s strutting, cockerel fabulousness. And his red fur cape and sparkly red tails. Take a bow, boys. Check out Mick’s red tails. ← Concert Review: Which is it Mariah Carey – Sequins or Graffiti?